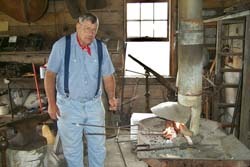 Minnesota Pioneer Park requires many volunteers to fit their busy schedule. For interpreters in each building April through June. School tours resume again in mid-September through October. The Park offers interesting and fun to learn training programs. Volunteers are provided a guide book as a reference guide for each building. This Tuesday Crew usually start early in the morning, break for coffee, and share a potluck lunch. Last year, our Tuesday Crew worked on over 60 projects. This year there is more need for help than ever. We want to re-open this summer the Machinery building and the Old Hearth & Home which have been closed for nearly a decade. Several of the village buildings are also going to require painting and repairs to the foundations as we celebrate our 39th anniversary season. Can't make it to Minnesota Pioneer Park but still want to help? You could be one of our many and special Home Volunteers.We often need dessert bakers (we'll pick up your goodies). Our many Special Events require many volunteers to help with all aspects from planning, setting up, collecting at the gate, gift shop, building interpreters, people willing to demonstrate a skill, craft or hobby, food preparation and serving, and clean up. Click here for Event Dates. Each Tuesday, several volunteers meet to do building repair and maintenance. They also work on our renovation projects. We also need volunteers to help stuff envelopes, fold newsletters, and other help in other office oriented ways. There's no time clock to punch - no minimum hours you must put in. You help out when you want and how you want. 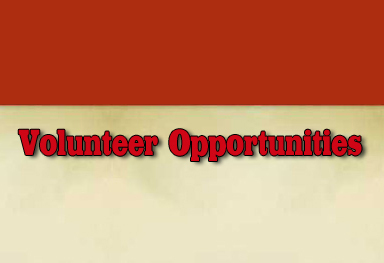 We guarantee you will have a great time volunteering at Minnesota Pioneer Park.